Sergi Jordà will present the research carried in the last years within the Music Technology Group of the Universitat Pompeu Fabra, in the field of tangible and tabletop interaction, in particular for the creation of new musical instruments like the Reactable. We will study and unveil the essential reasons that turn live music performance and tabletop interaction into promising and exiting fields of multidisciplinary research and experimentation. Sergi Jordà holds a B.S. in Fundamental Physics and a Ph.D. in Computer Science and Digital Communication. 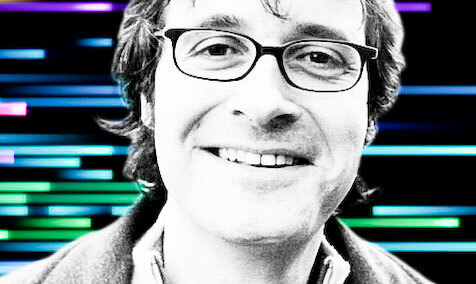 He is a researcher in the Music Technology Group of Universitat Pompeu Fabra in Barcelona, and a lecturer in the same university, where he teaches computer music, HCI, and interactive media arts. He has written many articles, books, given workshops and lectured though Europe, Asia and America, always trying to bridge HCI, music performance and interactive media arts. He has received several international awards, including the prestigious Ars Electronica’s Golden Nica in 2008. He is currently best known as one of the inventors of the Reactable, a tabletop musical instrument that accomplished mass popularity after being integrated in Icelandic artist Bjork’s last world tour, and he is one of the founding partners of the spin-off company Reactable Systems.